Basement parking bays at R890.00 per bay. 175m2 ground floor offices to let in popular, picturesque Bella Rosa Village. 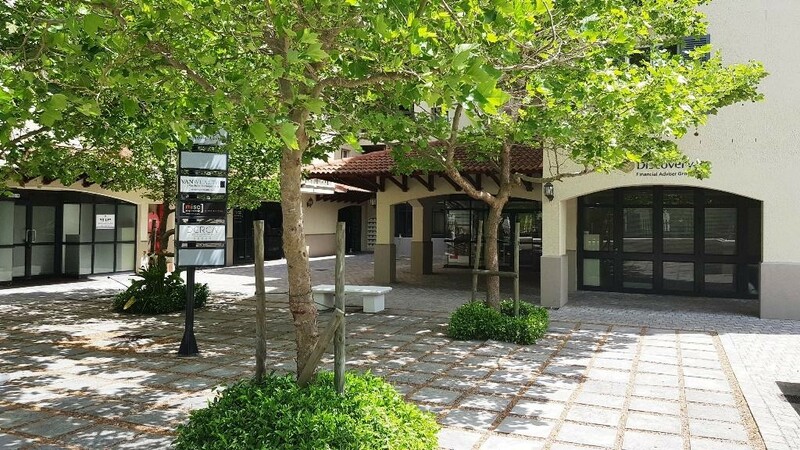 This office space is beautifully located on the ground floor overlooking the paved courtyard area and fountain of this popular mixed use village in Tyger Valley. The premises have a large, welcoming office area, glass enclosed boardroom, open plan office area for +- 4 staff, 4 privately enclosed offices, store room and kitchen. The serviced bathrooms are located in the common area adjacent to the office space. These offices have large windows allowing good flow of light and benefiting the tenant with views onto the lovely courtyard with oak tree canopy and benches for pause opportunities. The premises have a screeded floor currently and are fitted with venetian blinds. Parking bays are allocated in the basement and free visitor parking is available on a first come first served based in Bella Rosa Street or in the open parking in front of the building.